Two of my little friends! Safari Greg now partners with Wild Things Zoofari! 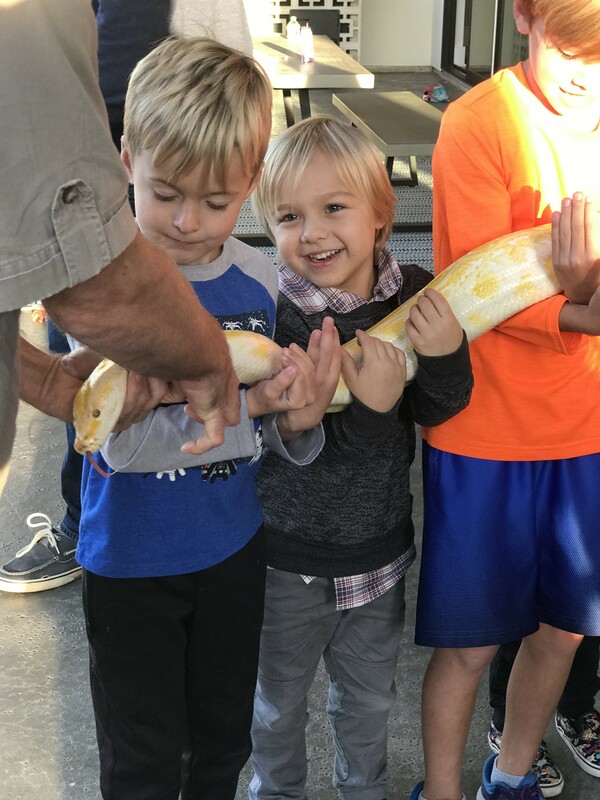 Whether you're looking for strolling/close-up magic for your party or event, quality educational programs for your school, or the best children's and family entertainment available, Urban Safari Entertainment can meet your needs. Safari Greg is Austins favorite & funniest family and kids magician! His unique, appealing style leaves audiences of all ages laughing and scratching their heads long after he has left the stage. Magician Houston Carter is an expert in close-up and stage magic and mentalism. His fun and engaging personality and expert skills make him the perfect fit for your event! Greg performed for my 7-year-old daughter's Harry-Potter-themed party and the kids had an absolute blast! His show matched the theme so well - and he even brought a bearded dragon! Highly recommend! It was as much fun for me as it was for the kids, they were delightful! Thanks for allowing me to be a part of her “special day”. Everyone had a blast at my son's birthday party! This is my first time using gigsalad.com service. The website is easy to navigate from searching, booking, sending communication, down payment. I finally decided to have Greg Safari for my 7 yo son's birthday party after reading all good reviews and watching his performance on youtube. Moreover, Greg is very reliable. He answered my voicemail and texted me back immediately before and on the day of the party. Greg was very entertaining. All guests (kids and their parents) were happy and the day after the party they still talked that my son's birthday party is the best party they attended in their life. Thank you, Greg for making my son's party so special. Even my husband keep saying that our son's birthday party is the best kid's party he has ever seen. This is the second time we've hired Greg for our son’s birthday party. The kids were so happy. Greg made my job easy. He knows how to entertain the kids, even adults enjoyed his show. 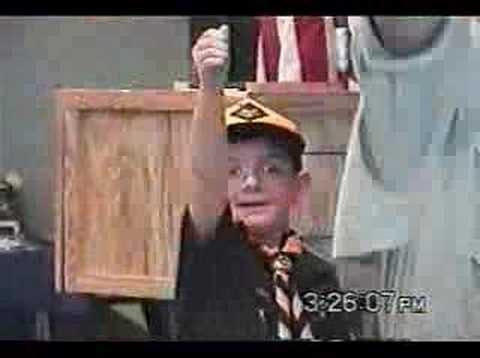 My seven year old and his friends (parents also) were so happy with the performance and education Greg did for us all! Kids and adults were laughing and very entertained throughout the whole show! We look forward to having him come visit again! Safari Greg is so funny and educational all at the same time! The kids loved it! Thank you for letting me be a part of Kyle & Jackson’s special day! They were a pleasure to perform for! Very fun & educational! My kids & I all had a great time! Safari Greg is an amazing professional educator/entertainer. My library patrons, both children and adults, thoroughly enjoyed his show. He has a great mix of comedy and animal education and his presentation was high energy and fun! We definitely want to make his show an annual event at our library! Entertained ages 6 to 65! I has Safari Greg last night at my 8 year old's birthday party and he was awesome! All the kids loved him! When he left they continued talking about him including the adults! I have seen him before at boo at the zoo so I just bragged and bragged about how good he was. And everyone told me I was right! My son already is planning him for next year! 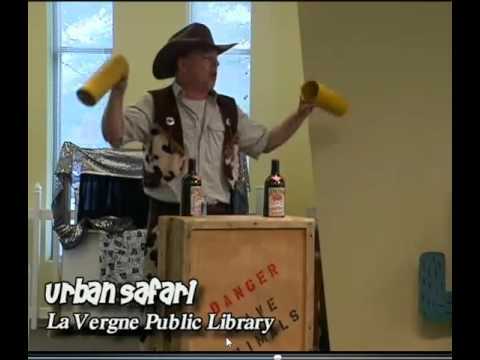 I attended a Safari Greg show with my 3-year-old in June, at the Old Hickory, TN library. 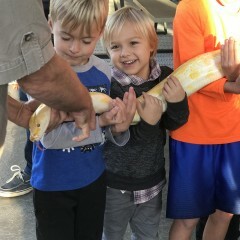 He loved it and is still talking about the snakes! Safari Greg is very knowledgeable and has a great personality for entertaining children. At the event I attended, ages ranged from toddler through adult, and a great time was had by all! Safari Greg always does a fantastic show! Not only are the children entertained, the adults are as well. Always fun and educational without being boring. Safari Greg was entertaining for kiddos and adults alike! Children from 18 months-age 12 giggled hysterically and oooohed and ahhhhed along side teachers and parents as SG performed! Safari Greg was a big hit with the kids at our school. He did end of school shows for us the last two years. I have attended many school programs in the past 26 years and he tops them all!!! He knows how to interact with all ages and is funny, educational, and very entertaining. I highly recommend him! Insurance: $1,000,000 - Safari Greg has full liability insurance coverage through an international specialty insurance group. So you can book us with confidence! Always ask for proof of insurance from any entertainer you hire to reduce any liability you might incur. For more than 20 years Safari Greg has been presenting his unique brand of entertainment to audiences all over North America. As a zoologist/wildlife biologist he combines his knowledge of animals together with his skills as a comedian and master magician, resulting in a show unlike any other! That’s why his clients continue to book him year after year...he delivers the goods every time and guarantees a well entertained audience! While he's fast become Austin and Central Texas' favorite kid and family entertainer, it was in Music City, USA that he honed and perfected his birthday entertaining skills. While living in Nashville, TN, he was named Nashville's Favorite Party Entertainer by Parent Magazines Best of the Best awards and he routinely entertained at more than 200 birthday parties each year! Besides being popular as a party entertainer, Greg's programs are also in high demand by churches, schools, libraries, scouting groups, fairs, and festivals. Each year Greg writes, produces and performs a new summer Reading library program that takes him across the south performing at more than 60 libraries each summer! Additionally Greg's reading programs for libraries have won 3 Governors Award of Excellence in Education awards. 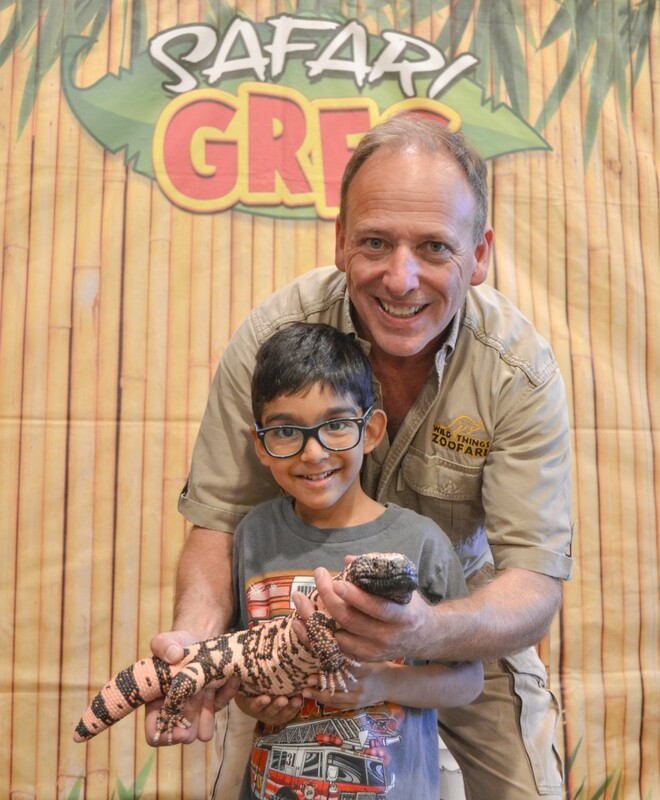 As an educational entertainer, Safari Greg often travels as many as 50,000 miles annually performing more than 350 award-winning school assemblies each year, on such topics as Life Sciences, Bullying, Reading & Writing. 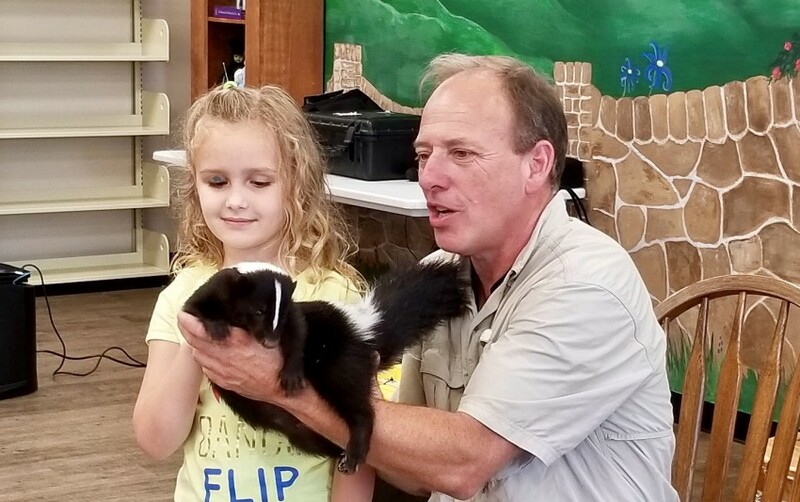 His wildlife shows have been praised as some of the best available and his program on the Six Traits of Writing won numerous awards including the New York State BOCES assembly of the year. He is also the Texas presenter of Wacky Science, a nationally recognized school assembly that happens to be the only STEM based science program endorsed by Dow Chemical. He has consulted for zoos, museums, theme parks, television and stage productions. 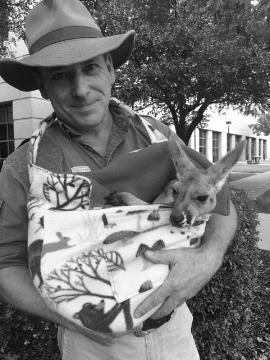 Safari Greg was Outreach Director and Ambassador for Austin Zoo where he wrote and performed the zoo's outreach/educational programs, as well as entertaining thousands of spectators at the zoo, as well as appearing at local and regional events. Although Greg is best known as the expert and authority on entertaining children he is just as at home performing for adults! Performing as Houston Carter, he delivers entertaining and high impact comedy magic and mentalism to companies like Dell Computer, Bank of America and Exxon-Mobil. Working with the beautiful and talented as well as nationally recognized psychic entertainer, Kali Nash, the duo delivers a laugh-filled comedy mind reading show that is guaranteed to amaze and entertain your audience, making them the perfect fit for your next event, function or party. Houston performs at more than 50 corporate events every year and is in high demand not only for stage performances but for his strolling and closeup entertainment as well. From a simple chair to full-blown stage and lighting, there are certain configurations and needs that many performers and service providers require in order to provide the best possible experience at your event. Get a free quote request to check with Safari Greg to find out what his setup requirements are.